TAMA S.L.P. Fat Spruce Snare Drum 14 x 6 in. Earn up to 2,800 reward points. Spruce up your sound with warm, resonant tones. TAMA's S.L.P. 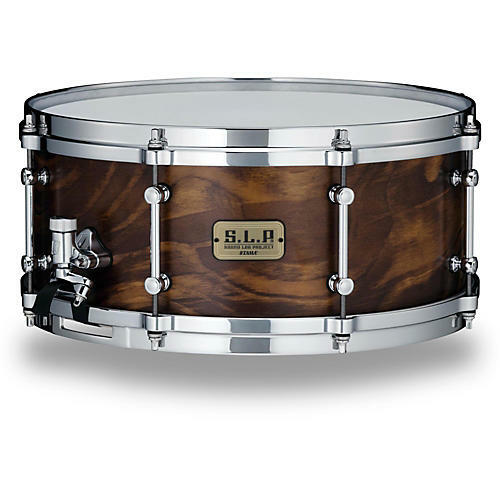 Fat Spruce features an all Spruce 8-ply shell with a beautiful wood grain finish, and boasts a warm and resonant tone. The combination of the Spruce shell and TAMA’s 8-lug die-cast hoops makes for a powerful yet warm rim shot sound. Snare Size:	14 x 6 in.